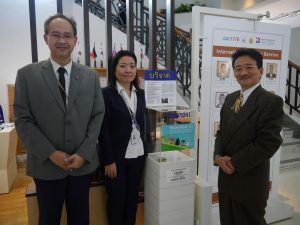 On 19th Jun 2017, Phuket Thailand – Non-Profit Organization PLAJA has set donation boxes at Art Patong Residence. There is a best location in Phuket. Patong Beach, it is a main beach in phuket. Art Patong Residence, the location is center of Patong beach and shopping area also very near too. The hotel is popularity about cleanliness and reasonable!